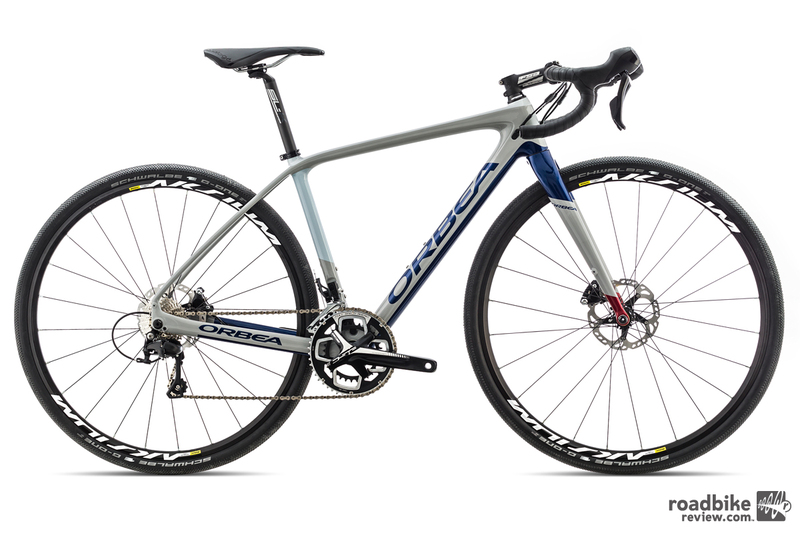 The Orbea Terra is billed as an all-road bike capable of tackling just about anything. N+1 (alternatively expressed as S-1) is a shorthand way of expressing every cyclist’s desire to own just one more bike. You know, that one other bike that would perfectly fill some niche within a niche. While dreaming up the perfect quiver is a wonderful mental exercise, the reality is that most of us are limited in the quantity of bikes we can own. With each acquisition, we’re forced to carefully balance utility, versatility, and financial viability. In a previous life, the Orbea Terra was a cyclocross rig, but it’s recently been redesigned to be more versatile. The new Orbea Terra aims to simplify that equation. It’s billed as a do-it-all bike, with massive 40c tire clearance. 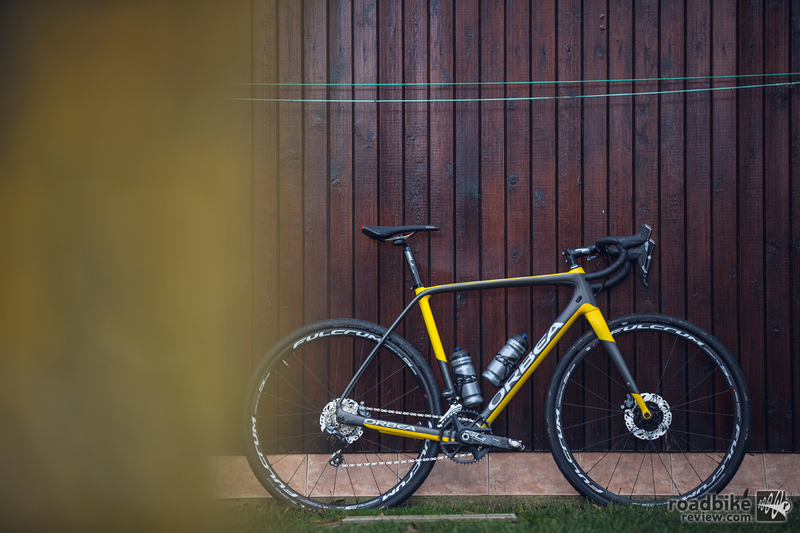 The name is borrowed from a previous model, which was designed for cyclocross racing. The new Terra is still at home romping in the mud and hopping barriers, but it can also satisfy the demands of off-the-beaten-path adventures on gravel or even mellow singletrack. The Terra places riders in a more comfortable position than traditional road bike geometry. Compared to more traditional road bike geometry, this frame has a higher stack and shorter reach, which places riders in a more comfortable position. The wheelbase and chainstays are also stretched for more stability, smoothness, and traction. The other big adjustment is the lower bottom bracket, which is designed to improve confidence when descending over rough surfaces. The Orbea Terra has massive tire clearance, up to 40c with room to spare. 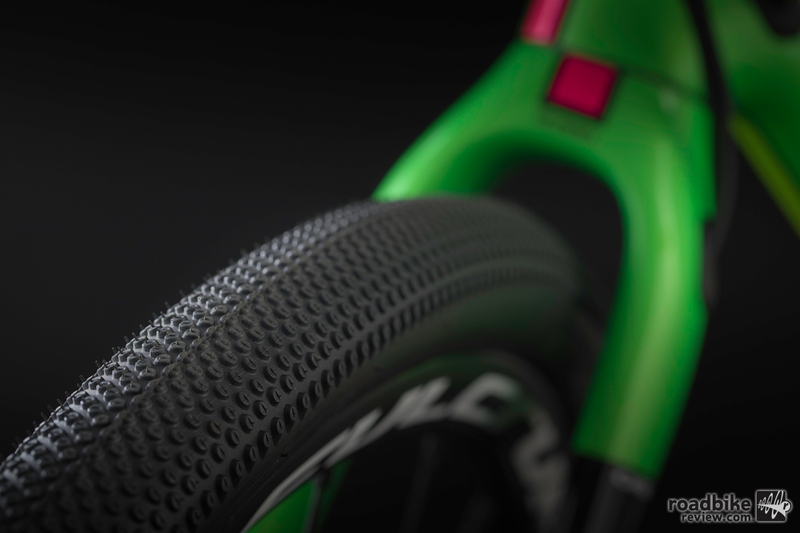 In addition to geometry tweaks, the carbon frame shapes have been optimized for compliance and comfort. Orbea even claims that small but critical areas of the bike have been modified for vibration absorption. Despite all these concessions for comfort, the Terra hasn’t lost its edge. The frame uses oversized tubing to create a stiff “spine” that aids in power transfer and handling. They’ve also modified the frame shapes to better resist directional flex. While the attention to geometry and comfort help make the Terra a great package, it’s the little details that truly make it versatile. That’s why they’ve added a myriad of different fender and rack mount options, standard 100×12/142×12 thru axles, a chain security device, and internal routing for both mechanical and electronic drivetrains. Frame weight for a size small is 1190 grams. There are five stock builds, with prices starting at $2999 and topping out at $4999. You can also configure your color scheme and components through Orbea’s My O custom program. For more info, visit www.orbea.com. In a previous life, the Terra was a CX rig. It’s been recently redesigned to be more versatile. The Orbea tire has massive tire clearance. It can clear 40c tires with room to spare. The Terra places riders in a more comfortable position than your traditional road bike geometry. Frame weight for a size small is 1190 g.